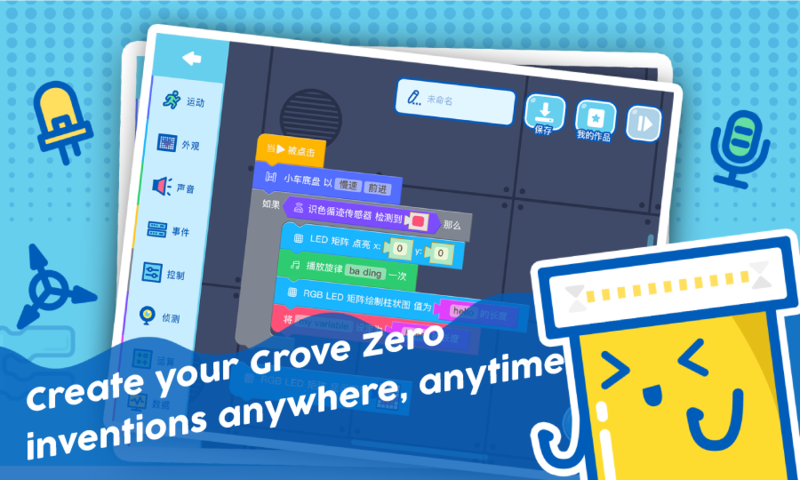 Grove Zero APP is a graphical programming app that allows kids to program Grove Zero on their tablets and phones with drag-and-drop blocks. 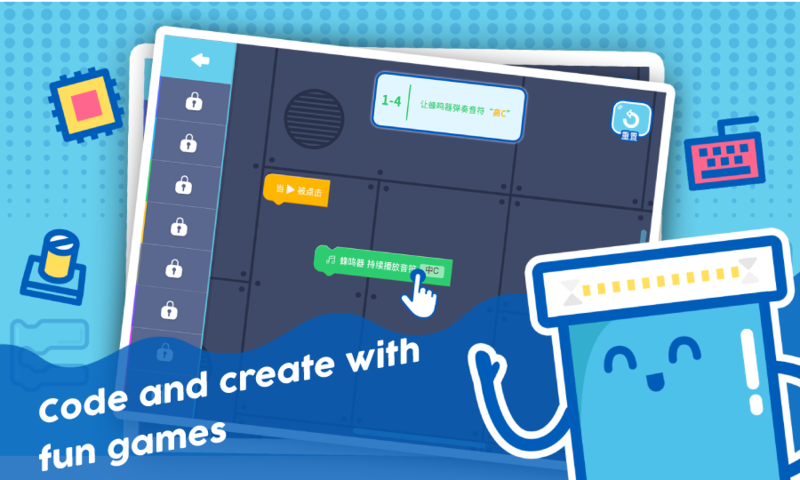 It’s simple, easy and fun. 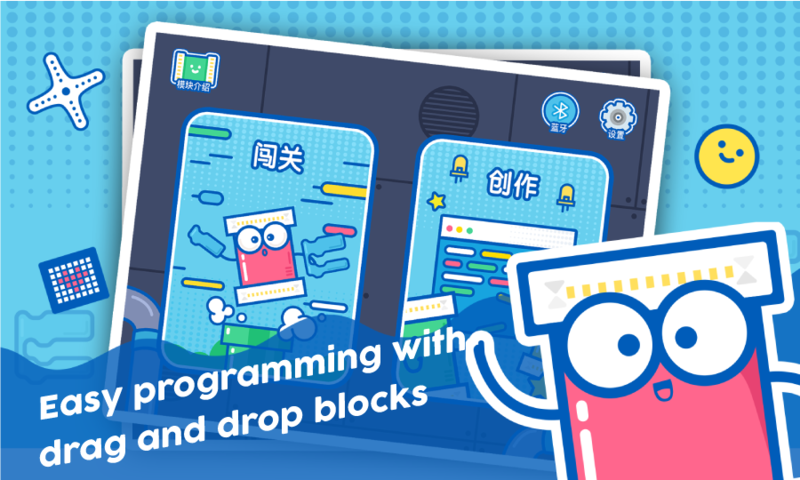 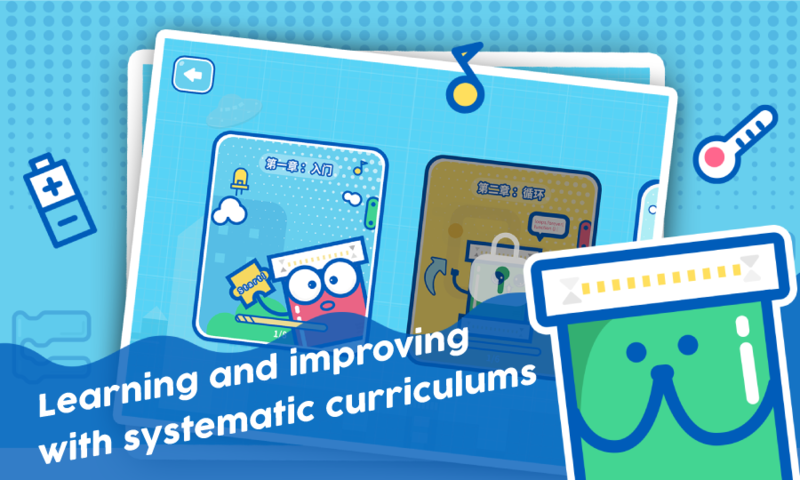 The step-by-step tutorials in the app cover the essential concepts of coding like Loop, Conditions, Sensing, Events, Data and Variables, which helps kids with no programming experiences getting started very easily and quickly. 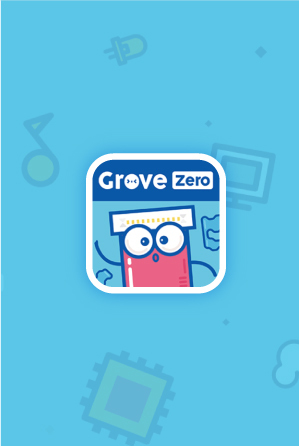 The app allows kids to learn to code and create with Grove Zero modules, helps develop their critical thinking skills as well as the ability to solve problems.